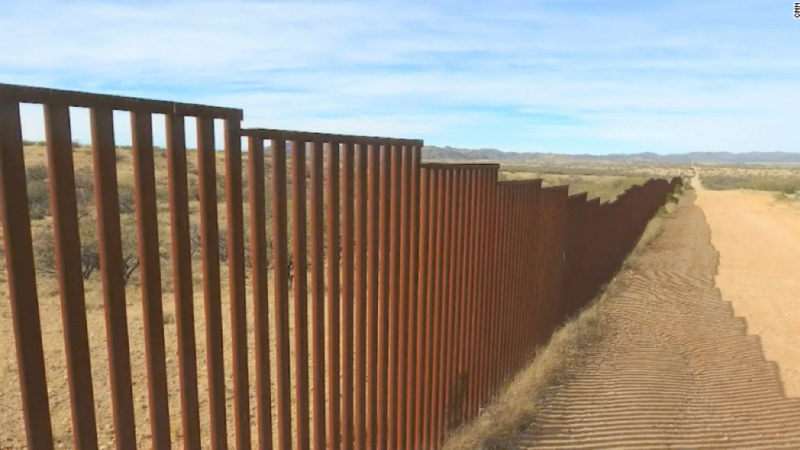 Will Trump's border wall become a fence? Mexico's contingency plan for President Trump may be working after all. Its central bank raised interest rates for the fourth time since the U.S. election on Thursday, partly in an attempt to save the Mexican peso, which hit an all-time low on January 20, Trump's inauguration day. Mexico's central bank raise rates by 0.25 percentage point to 6.50%. Trump's threats -- to build a wall, tax Mexican imports and remittances, and withdraw from the free trade agreement NAFTA -- caused the peso to lose value throughout the election. Mexico's central bank governor, Agustin Carstens, said before the election he and other Mexican leaders had a "contingency plan" in place if Trump won, expecting the peso to plunge. He's kept his word, taking several measures to shore up the currency, including hiking interest rates and selling dollars to international investors. The peso ticked up after Thursday's rate hike. It appears to be working. Since Trump's inauguration the peso has rallied, up 16% over that time. Its value is almost back to where it was the night before the November 8 election when it plunged in value. Still, the value of the peso is very low, historically. One dollar equals 18.65 pesos, though it was nearly worth 22 pesos at the peso's weakest point in January. In 2013, you could get less than 12 pesos for a dollar. Mexico's central bank also raised rates to keep up with the U.S. Federal Reserve, which raised its key interest rate in March, also by a quarter point. Carstens wants Mexico's monetary policy in line with America's because the two countries' economies are so closely linked. And some of Trump's advisers have toned down the rhetoric on trade, convincing investors that the worst of Trump's threats may never come to fruition. That expectation bore true Thursday as leaked documents of a draft from the office of Trump's U.S. Trade Representative showed that the administration was looking to make tweaks rather than drastically change NAFTA as Trump suggested during his campaign. Carstens's leadership through the early stages of the Trump administration is so important for Mexico that President Enrique Peña Nieto asked him to stay on until the fall after Carstens initially said he would resign in June for a central banking position in Switzerland.